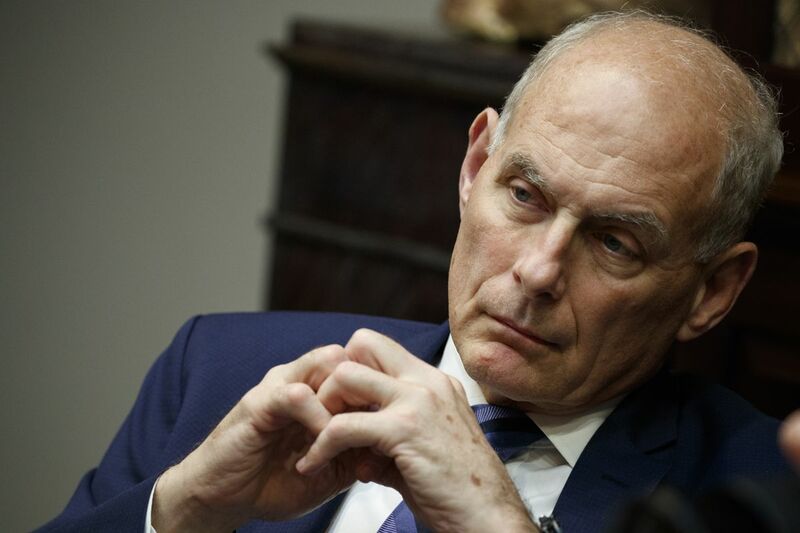 WASHINGTON — President Donald Trump said Saturday that chief of staff John Kelly will leave his job by year's end amid an expected West Wing reshuffling reflecting a focus on the 2020 re-election campaign and the challenge of governing with Democrats reclaiming control in the House. Known through the West Wing as "the chief" or "the general," the retired Marine Corps four-star general was tapped by Trump via tweet to try to normalize a White House riven by infighting and competing power bases. "John Kelly will leaving — I don't know if I can say retiring — but he's a great guy," Trump told reporters. "John Kelly will be leaving at the end of the year. We'll be announcing who will be taking John's place — it might be on an interim basis. I'll be announcing that over the next day or two, but John will be leaving at the end of the year. ... I appreciate his service very much." Trump Friday announced that he would nominate William Barr, who served as attorney general under President George H.W. Bush, to the same role in his administration. He fills the slot vacated by former Alabama Sen. Jeff Sessions, who was jettisoned by Trump over lingering resentments for stepping aside from overseeing special counsel Robert Mueller's investigation. Among the other changes, two veterans of Trump's 2016 campaign, White House political director Bill Stepien and Justin Clark, the director of the office of public liaison, are leaving the administration to work on Trump's re-election effort. The moves had long been planned, but will give Kelly's eventual successor room to build their own political team.